Heart pushes blood with a jolt into the body system at the every beat of heart. Heart gets nutrition and oxygen from blood which is supplied by the blood arteries. This organ is divided into two parts- left and right. On its each side at the left and the right are located two chambers (atrium and ventricle). Altogether four chambers are there in the atrium. The left part receives the impure blood from the body and sends it back to the lungs. Blood returns after being purified back to the left of the heart from where it is pumped again back to the body parts. The circulation of the blood is directed by four valves as a gateway for the circulation of blood- two on the left side (mitral and aortic) and two towards the right side of the heart (pulmonary, and tricuspid). The muscles of the heart need oxygen to remain alive. There are arteries inside the muscles of the heart. These arteries are called coronary arteries. When one or more than one of these arteries narrows down or blockages develops into it partially, this condition is then called coronary artery disease. When one or more of these arteries gets blocked up, some of the arteries of the muscles of heart can`t receive nutrition and oxygen. This stage is known as heart attack. The chief reason of coronary heart disease or cardio vascular disease is the deposit of the atheroma named fats in the arteries. In such a condition, the surfaces of atheroma solidify towards the inside of the arteries. This surface goes on increasing with the passage of time obstructing the flow of blood. This leads to angina l pain or a solid obstruction comes into the arteries. Generally this happens when blood clots due to the irregular increase in the part of the surface. When this condition occurs, suddenly shortage of blood obtains in one part of heart muscles which results in getting damaged. This condition is called heart attack. When this damage is limited, the heart can come back in its former state. But when the damage is more death can also occur. Due to damage in the arteries the blood circulation to brain also stops reaching leading to stroke, or paralysis or death. The dangers of the coronary heart disease and stroke gets accentuated when together with the excessive uses of smoking in the state of increased amount of cholesterol, excess of saturated fatty foods are consumed. Bringing changes in the dietary habit such as taking fruits and vegetables can prevent the menace of heart conditions. Fruits and vegetables have a unique combination of anti oxidant elements, and micro nutritional elements together with fibres. These act as safety measures against the heart diseases. Prevention against heart disease is possible by observing some disciplinarian life style like not smoking, choosing healthy and notorious diets, regular physical exercises, keeping the body weight and the waist measurement lowered down, restraining fro wine and tobacco products etc. 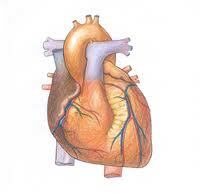 Rheumatic heart disease is such a condition in which the valves of the heart get damaged. This process begins from the infection of the throat due to the infection from streptococcal bacteria. When it is not treated on time, it converts into rheumatic fever. Repeated occurrence of rheumatic fever leads to rheumatic heart disease. Rheumatic fever is a disease of swelling which affects particularly the heart, joints, brain and tissues connecting skin. When the rheumatic fever permanently cripples heart then the condition is called rheumatic heart disease. Any age group can become the victim to rheumatic heart disease. But generally it is observed in the children of 5-15 years of ages. Swollen up, soft, red and painful joints, particularly knees, ankles, elbows, wrists. Perforation on the swollen areas or tubercle. Weakness and ballooning up of breathes. It gets found out from two normal tests namely X-Ray of chest and ECG whether the heart is affected or not. Doctors go for its treatment depending upon the medical history of the patient and the extent of seriousness of the disease because rheumatic fever is the reason of the rheumatic heart disease. The best course of treatment for this disease would be to stop its repeated recurrence. If someone has the danger of the cardio vascular complication or the coronary heart disease, the Doctors prescribe medicine to lower the blood pressure or cholesterol. In many cases, mini aspirin is also prescribed by Doctors.